Unless you're familiar with the compromises in ride comfort inherent to the sporty, compact two-seater segment, you'll want to spend some time behind the wheel of the 2013 Nissan 370Z to be sure you can live with it. While the performance-per-dollar value of the 2013 Nissan 370Z remains largely intact, enabling it to play with more expensive sports cars for less money, rising prices narrow that advantage. Following a familiar trajectory, the latest iteration of the Nissan Z has continually added more technology, more features, and more performance since its re-introduction in 2003 as the 350Z. The current 2013 Nissan 370Z continues the trend, adding a handful of new features to each model variant, while maintaining the core segment-straddling sports car/grand tourer essence. As a rear-drive, front-mid-engine, 332-horsepower, two-seater, the 370Z seems to fit the sports car mold perfectly, and, behind the wheel, it mostly feels like it, too. But at 3,200-pounds-plus curb weight, and with its potent 3.7-liter V-6, the 370Z blurs the dividing line between sports car and grand tourer, especially with its more luxurious interior and enhanced range of gadgets, features, and options. 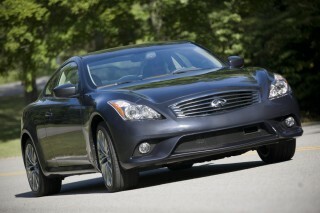 Updates for 2013 include a revised front end that incorporates LED daytime running lights, new 18- and 19-inch alloy wheel designs, a revised selection of exterior colors, and more. The higher-performance, more track-focused NISMO 370Z also adds an available Bose six-speaker, six-CD changer audio system; Bluetooth hands-free phone connectivity; an auto-dimming mirror with HomeLink transceiver; upgraded brake lines and fluid; a new exterior color, and more. The 370Z Roadster gets the new front end with LED daytime running lights like the Coupe, plus a new 19-inch wheel design for Sport Package-equipped cars, and a few tweaks to the Sport Package's contents. Features that carry forward from the 2012 Nissan 370Z include a seven-speed automatic transmission with paddle shifters or a six-speed manual transmission with Nissan's unique SynchroRev feature, which automatically rev-matches downshifts by computer-controlled throttle blips. While either transmission mates well with the rorty V-6, the manual is the best choice for the enthusiast. The 370Z is, in general, a car for the enthusiast, however, as its base suspension tune is aggressive--some might call it a touch harsh--and the upgrade Sport and NISMO models sharpen that edge even further. Steering feel is perhaps the main drawback from this enthusiast package, as it's a bit vague, with a tendency to tramline along minor grooves in the road. That said, it's still a fun, competent overall package. Inside the cabin, the 370Z is far more refined than the 350Z that preceded it, with supportive, comfortable adjustable seats, available leather upholstery, power acecssories, keyless entry/start, and cruise control. Optional extras for even more convenience include navigation, satellite radio with real-time traffic, HID headlights, and more. The 2013 Nissan 370Z is freshened, but still retains the Z-car traits that make it instantly recognizable. On the market since 2009, the Nissan 370Z is just about at the middle of its life cycle, and accordingly, Nissan has given it a mild aesthetic update, with a redesigned front end, a few tweaks at the rear, and the addition of LED daytime running lights. The combined effect is subtle, but significant, updating the car's look with a hint of more modern, high-tech design, while keeping the bulk of the car's successful, sporty theme. Three models of 370Z are available, the Coupe, the Roadster, and the NISMO. The Roadster looks much like the Coupe below the window line, but above it, a power-retracting soft top cuts a slightly different profile when raised, and opens the car up, accentuating the muscular flanks when tucked neatly beneath its hard tonneau cover. The NISMO is a racier, more obviously track-bound version of the 370Z, with larger wheels and tires, upgraded brakes, and unique aerodynamic effects that all give visual clues to its nature. While some will find the NISMO a bit over-the-top for daily use, as a weekend canyon-carver or track-day toy, its hotter, slightly boy-racer styling may be the perfect touch. Inside, the 370Z's style is far more sophisticated than the spartan, minimalist 350Z, though familiar three-dot Z-car themes live on. While nothing in the cabin is ultra-modern or controversial in design, it also won't be mistaken for a retro throwback trying to leverage its past with cheesy, antiquated shapes or styles. Both Coupe and Roadster forms of the 2013 Nissan 370Z are quick and nimble, but if you've got the cash, the NISMO takes it to another level. While the 370Z gets a number of appearance and feature updates for 2013, the 3.7-liter VQ-series V-6 engine continues pumping out 332 horsepower (or 350 hp in NISMO form), wrapped in the same basic Coupe and Roadster body styles. 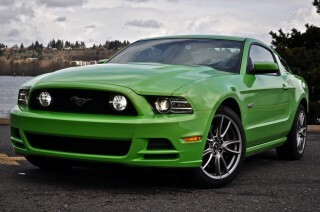 The engine, is, as ever, a fun and forceful companion, though the sound isn't as sweet as it was in 3.5-liter form. The SynchroRev manual transmission isn't bright-and-shiny new anymore, but it's no less gadget-cool for that fact; it's also a very successful, working system. Grabbing some of the best from the dual-clutch world while preserving the engagement and simplicity of the traditional manual transmission, it's the best of both worlds--and it can be deactivated if you like. The gearbox itself is a touch heavy and stiff for some tastes, but it delivers precise, predictable shifts. The automatic transmission, on the other hand, with its paddle shifters, does a passable job of emulating dual-clutch fun, but it doesn't rise to the occasion of a track-day or extended sport driving on the open road. With a bit less wheelbase and weight than the 350Z that came before it, the 370Z feels, and ultimately is, a bit more nimble, too. The slightly dull steering, communicating little feedback to the driver, detracts from the feeling somewhat, but it's not enough to get in the way of enjoying the 370Z's stiff chassis or grippy road-holding ability. 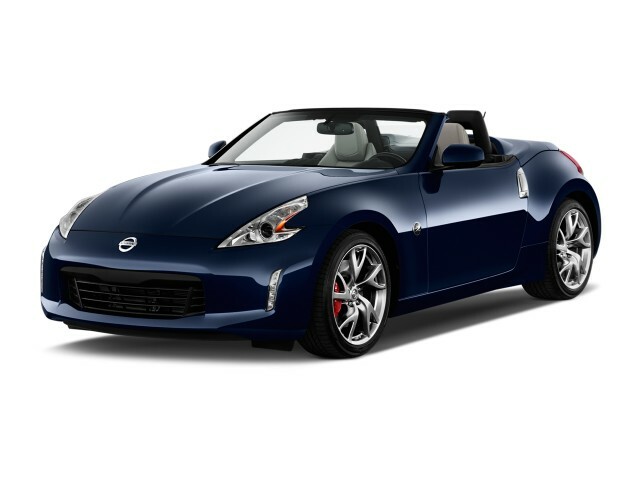 The Roadster softens all of the 370Z Coupe's traits a touch, with a little less rigidity from the chassis, but the open-top factor may well outweigh the slight hit to performance if you're a fan of convertibles. The NISMO, on the other hand, heightens all of the 370Z's traits, from acceleration and handling to ride stiffness. Whether that's something you can live with on a daily basis is a matter to be determined on an extended test drive. While the 2013 Nissan 370Z is a well-finished sports car, road, tire, and engine noise can be intrusive. Like any two-seat sports car, the 2013 Nissan 370Z is less about passenger space, cargo room, or even drink holders than it is about the simple joy of driving. If you're okay with that, then you're likely to be okay with the 370Z. The seating, once in the low-slung and snug cabin, is comfortable, with an ample range of adjustment for most body types. Power-adjust seats with ventilation are available on higher-end trims. Despite the comfortable seats, the 370Z's stiff suspension makes its presence known, jouncing occupants over large bumps and only barely smoothing out smaller pavement seams and other surface imperfections. The ride comfort issue is also translated to noise. Both tire noise from the road surface and wind noise from the car's shape slicing through the air can become an issue, especially when mixed with the ever-present sound of the engine, which can become intrusive at higher revs. The overall effect is a cabin that's neither quiet nor peaceful, likely a result of minimal sound-deadening materials in an effort to minimize the 370Z's weight. Cabin materials themselves are largely pleasing, with solid-seeming plastics and appropriate amounts of soft-touch and padded elements. It's no German luxury machine, but neither is it a bargain-basement parts-bin special. In the Roadster, the soft-top convertible mechanism is efficient and effective at keeping out the elements, and it encroaches only minimally on trunk space, but it doesn't do as effective a job of keeping out noise--or intruders--as a retractable hardtop like you'll find on much of the competition. These drawbacks are, however, largely endemic to the sports car class in general, and while some more expensive or luxurious alternatives may be quieter, or more refined, few if any can deliver the same level of performance, fun, and value as the 2013 370Z. The 2013 Nissan 370Z hasn't been officially crash-tested yet, but it comes with all of the modern safety equipment you'd expect. Neither the National Highway Traffic Safety Administration (NHTSA) nor the Insurance Institute for Highway Safety (IIHS) have rated the 2013 Nissan 370Z's crashworthiness yet, as is common for lower-volume sports cars. Nevertheless, Nissan has equipped the 370Z with all of the modern safety basics you'd expect, including: anti-lock brakes; stability and traction control; plus front and side airbags, with side-curtain airbags on Coupe and NISMO models. Behind the wheel, visibility is generally good forward and to the sides of the 370Z, but to the rear, the thick rear roof support pillars in the Coupe can limit sight lines. The Roadster isn't much better with the top up, but open to the elements, presents very little to obstruct vision. From the power-folding soft top on the Roadster to the quality audio system and new LED daytime running lights, the 2013 Nissan 370Z packs in the features. The 2013 Nissan 370Z range is spanned by a coupe and a roadster, available with a pair of feature packages, with an optional Sport Package. The NISMO 370Z is available in a single base configuration, with a range of optional equipment. In both Coupe and Roadster models, Nissan offers a choice of base or Touring specification. Base models include the core set of 370Z features, such as HID headlights, LED daytime running lights, keyless entry with pushbutton ignition, and AM/FM/CD audio with auxiliary input. 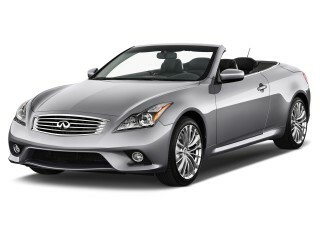 The Touring spec includes leather-appointed heated and cooled power-adjustable seats, Bose audio, Bluetooth, and more. On Coupes, the Sport Package can be added to both base and Touring models; on the Roadster, it's only available on Touring models. 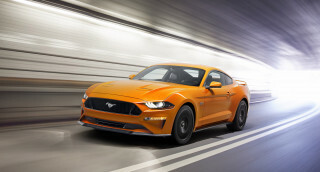 The Sport package adds 19-inch Rays forged aluminum alloy wheels, upgraded Bridgestone Potenza high-performance tires, upgraded brakes, the SynchroRev manual transmission, and a viscous limited-slip rear differential. NISMO models feature NISMO-tuned suspension, reinforced suspension tower bracing and body dampers, unique NISMO appearance and aerodynamic elements, 19-inch Rays wheels, and unique NISMO interior trim. At a base price of $33,120, the 2013 Nissan 370Z isn't the bargain it once was, and prices quickly rise as you head up the equipment ladder, reaching beyond $45,000 in a loaded NISMO 370Z. That begins to edge into more luxurious and/or more sporting territory, with cars like the Chevrolet Corvette and Infiniti G37 Coupe on the alternatives list. The 2013 Nissan 370Z isn't all that green, even in relative terms, but sometimes speed comes at a price. 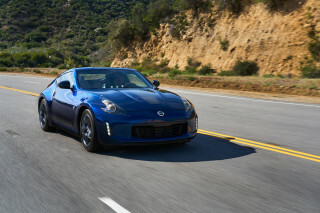 The 2013 Nissan 370Z will never be the gas miser's choice, as even the best-performing model (equipped with the seven-speed automatic transmission) ekes out just 19 mpg city and 26 mpg highway in EPA testing. The manual transmission drops that to 18/26 mpg, and the Roadster falls further to 18/25 mpg with the automatic and 17/24 mpg with the manual. 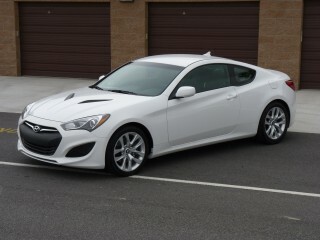 My opinion after first day of ownership!!! It's a hot looking, and driving car! It dose take some time to get use to the steering. As other reviewers point out the bumps and grooves in the road can pull the wheel ont way or the other, which I think... It's a hot looking, and driving car! It dose take some time to get use to the steering. As other reviewers point out the bumps and grooves in the road can pull the wheel ont way or the other, which I think skinnier front tires would fix this, but would sacrifice some grip. I can't comment on dependability yet, but this engine has been around a while and has been proven to bees a strong one, and is definitely a strong performer. The car is much quicker then I was expecting it to be, and it's soooooo much fun to drive. I was lucky enough to find. 2013 370Z Touring w/sport package that has only 11,000 miles on it for a great price. I'll update my review as more time passes, and until then I'm going to search for a forum to learn all I can about the car.